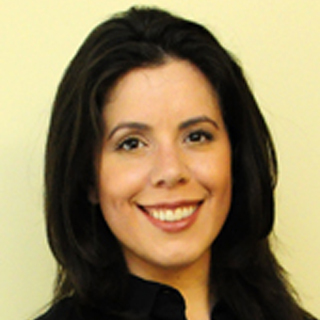 Stella Stergiopoulos, Project Manager, Tufts Center for the Study of Drug Development US. Contract Research Organisations (CROs) across service areas are proliferating globally, yet most data on the CRO market focuses primarily on US and European clinical research activities. The Tufts Center for the Study of Drug Development (Tufts CSDD) has completed an initial study looking at key geographic CRO hubs that encompass a diverse set of global and local contract service companies that provide a range of non-clinical, analytical, clinical and commercial services. Tufts CSDD also conducted a literature review of the CRO landscape in Asia, in addition to estimating the CRO markets by functional area and expertise. The results of this study and their implications will be discussed. Non-clinical development costs (activities including drug discovery; biology research; chemistry research; pre-clinical) continues to account for a large percentage of overall drug Research and Development (R&D) costs. The Pharmaceutical Research and Manufacturers of America (PhRMA) estimated that in 2012 US$11.9 billion, or 23.8 per cent, of overall R&D costs are attributed to prehuman/preclinical, up from US$10.5 billion in 2011 (~22 per cent). Only phase three continues to be more costly than nonclinical R&D. In 2013, Tufts CSDD estimated that the mean cost of non-clinical drug development to be US$6.1 million per compound, with Chemistry, Manufacture and Control (CMC) costs accounting for roughly 50 per cent of that average. Strategies behind non-clinical R&D have continued to mature in an effort improve operation and infrastructure efficiency. One main strategy involves increasing the use of outsourcing across the value chain. In the 2013 study, Tufts CSDD interviewed representatives from nine mid- to large-sized pharmaceutical organisations, inquiring specifically about current non-clinical outsourcing practices. 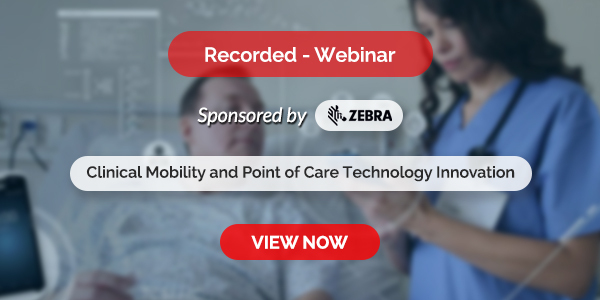 The majority of respondents noted that routine activities, such as CMC, toxicology, pharmacokinetic and metabolic studies are outsourced either occasionally or regularly, while more strategic activities, such as IND document preparation, mainly remain in-house. Data on Contract Research Organisations (CROs) support this finding, as the number of CROs has increased four-fold, from 800 companies in the US in 2000 to more than 3,200 companies in 2011. In 2011, 26 per cent of the 3,200 companies offered non-clinical services, accounting for roughly 21 per cent of the overall US contract R&D market (between US$6.8 and US$8.1 billion). In 2013, Tufts CSDD conducted a study to size the global market for contract R&D market services as a whole and note that despite the dramatic increase in non-clinical outsourcing activity, limited information on the size of the non-clinical outsourcing market in Asia has been published. Data characterising specific functions within drug development has focused predominantly on individual service areas or specific countries. As a follow-up to the 2013 study, this study and literature review look to specifically characterise the Asian non-clinical outsourcing market. The first section focuses on the economics of outsourcing in Asia, while the second section focuses on specific country offerings. Figure 1 contains a percentage breakdown of operating contract research organisations (clinical and non-clinical) in Asia Pacific by country as of May 2014. The majority of operating CROs are in the most mature countries: 50 per cent have their headquarters in India, and 18 per cent in China. Japan and Taiwan account for 12 per cent and 6 per cent of total number of companies respectively. Individual company data and was difficult to find and validate. The United States was included in their analysis as a benchmark. China and India produced the most cost efficient studies overall. However, Sasaki et al further note that in 2009, GLP-generated data from South Korea was the most reliable on account of being a member of the Organisation for Economic Co-Operation and Development (OECD). Moreover GLP labs in the South Korea have passed GLP inspection by the OECD. 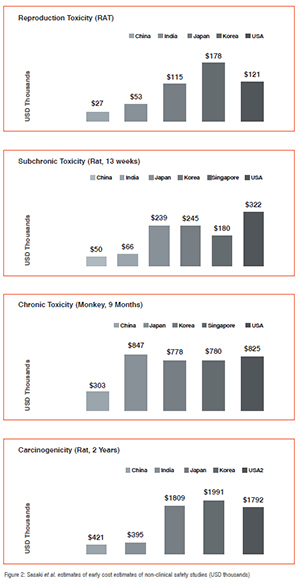 Pricewaterhouse Cooper’s (PWC’s) 2008 report “The Changing Dynamics of Pharma Outsourcing in Asia; Are you Readjusting Your Sights” analysed overall outsourcing risk factors for the Asian countries. The report states that in terms of economic risk, Singapore is the least risky Asian country, followed by India and China, and then Malaysia and Taiwan. Indonesia, Vietnam and the Philippines are the most risky. However, cost is not the only factor when selecting an outsourcing partner. 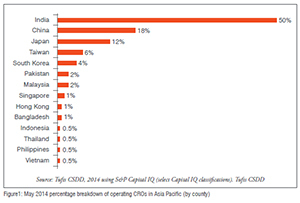 Non-clinical CROs in Asia offer a breadth of services. The rest of this study focuses on the services offered by the two most mature Asian non-clinical CRO markets: China and India. In 2013, Jim Zhang took a closer look at China and India. He noted that the CRO markets (non-clinical and clinical) in the two nations have different offerings: China’s CROs are most mature with respect to early-phase drug discovery research in addition to pre-clinical development in large animals (e.g. nonhuman primates). 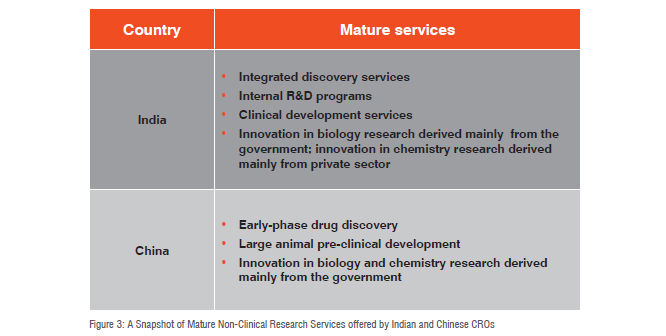 Zhang’s research demonstrated that Indian CROs offer integrated discovery services, as well as internal R&D programmes. Zhang also notes that the Indian outsourcing market is the oldest and most mature in Asia. Indian CROs are thus the most experienced in most of the stages across the drug development R&D spectrum. This initial study and literature review begins to characterise the size and structure of the Asian non-clinical outsourcing markets. It also looks to provide a review of the main non-clinical services offered by China and India: Asia’s two most mature non-clinical outsourcing markets. Data from this report should be read with caution, however, as regulatory challenges have not been addressed. Moreover, limited data is available on emerging countries such as South Korea. The data, although limited, are directionally accurate. The data indicate that Asian non-clinical CROs are poised for growth. Aldrich forecasts that the drug discovery market will grow at a compound annual rate of 16 per cent from 2012 to 2016, reaching US$21.2 billion by 2016. The PWC report indicates that China and India will remain market leaders in drug development, along with Singapore. This initial study is a first attempt to provide high-level metrics to assist sponsor companies in assessing non-clinical service providers in Asia, with specific focus in India and China. Ultimately, the data found in this report and literature review will provide pharmaceutical companies with high-level metrics that will help aid biopharmaceutical companies with non-clinical strategic planning. Stella Stergiopoulos manages multi-sponsored and grant funded research projects at Tufts CSDD. She has experience conducting research on pharmaceutical industry practices and trends affecting pharmaceutical outsourcing practices, cycle time metrics, resource management, and protocol design. She has been a presenter at conferences and has published in peer-reviewed and trade journals.